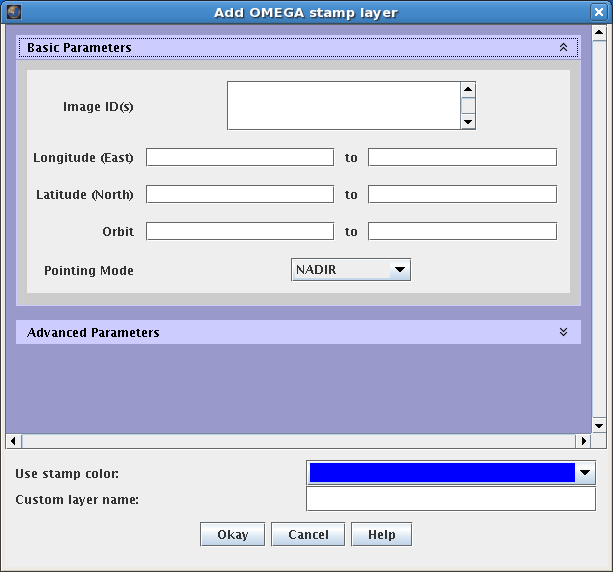 Open the Stamp Layer: Chose "Add New Layer" -> "Imagery" -> "OMEGA" OR "Add New Layer" -> "Instrument" -> "OMEGA". Perform Image Search: Clicking OK will make the Stamp Layer perform the search and display the results. 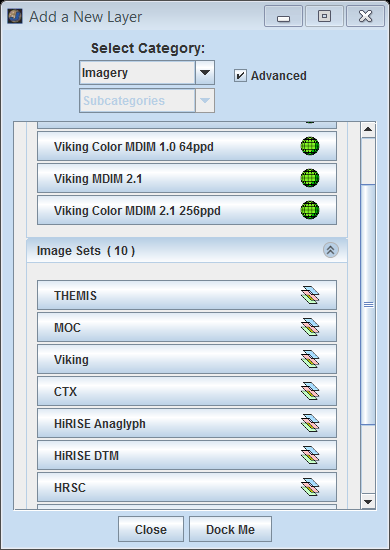 Depending on how specific the search parameters are, it may take the Stamp Layer a few minutes to find and create stamps for all of the images. Once the stamps are displayed in the Viewing Window, users can right-click on an outline to view the image in a web browser. 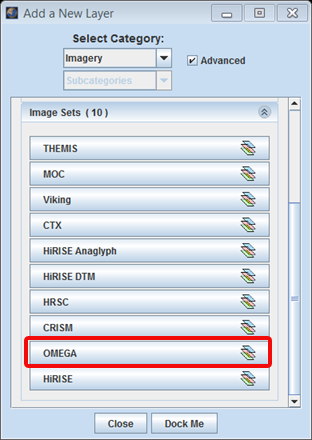 A rendering option is not currently available for OMEGA data. The MEX orbit during which the observation was acquired. The spacecraft pointing mode at the time of the observation. 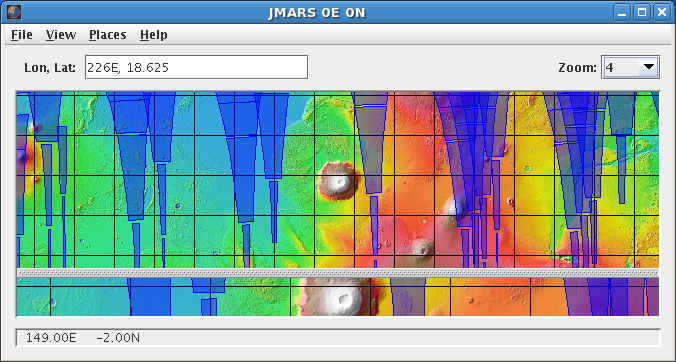 Measured from the center of the image, this is the angle between the MOC and a "normal" drawn perpendicular to the planet's surface. In most cases, the MOC is looking "straight down" and the emission angle is thus close to 0°. The horizontal resolution, in meters/pixel, at the center pixel of the observation. 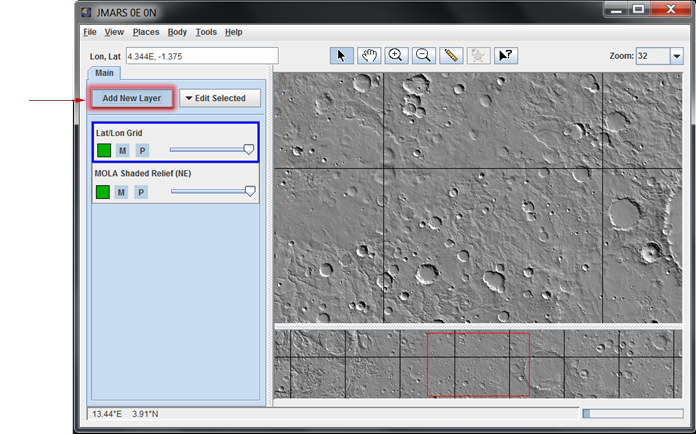 The vertical resolution, in meter/pixel, at the center pixel of the observation.